Having a standardized editorial calendar for WordCamps is something the Marketing team would like to help with. We’d love the Community feedback. Should show suggested copy for each item and two or three different examples from WordCamps across the globe. Emphasise copy is a starting point to be tweaked: user should localise content, so not all WordCamps sound the same! Copy should be gender neutral, ie “they/them”. Your overall theme. Does your WordCamp have an overall theme? This may relate to the host city. 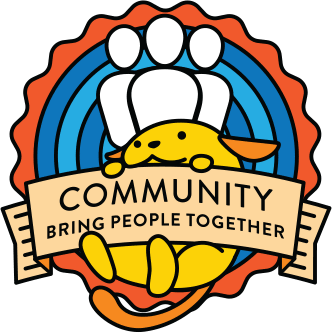 You can brand all your WordCamp’s communication with this overall theme! This adds identity, uniqueness and fun to the brand! WordCamp Bristol 2017: nautical theme. Used nautical terms for sponsors; referred to attendees as “sailors”; nautical website branding; etc. An “elevator pitch” for the WordCamp: a one or two sentence “pitch” explaining what the conference is. You may also wish to set up a number of tools which can make your organising life easier! Standardised branding, including website banners etc, square versions for social, hex colours of the branding, a default featured image for blog posts. Create these now and save time later! Create social accounts including Facebook and Twitter. Set up a Mailchimp account! Encourage people to sign up to a single WordCamp [Your City] newsletter, which can be re-used every year. This gives you an existing group of interested people every year who you can sell tickets to! Below you’ll find the posts most WordCamps publish on their blogs in the run up to the event. These are in roughly the order you’ll need and include an overview of the aim of each post, suggestions for the content of each post and reference examples. This is a non-exhaustive and non-complete list, so take the below as suggestions and do what’s best for your WordCamp! This should be the first thing you post! This is a very brief placeholder for the date and location, if known. Example from WordCamp Paris 2015. This post can invite attendees to suggest the topics they wish to hear about at the upcoming WordCamp. This can be as simple as asking people to comment below the post, or a more complex form. This is your WordCamp London and we’d love to hear about any WordPress related topics that would light up the stage for you. What would you be interested in hearing or learning more about? This post is announcing your “call for speakers”. This should include all the information necessary to find out about and submit a speaker application. A two sentence “elevator pitch” of your WordCamp to start the post. Topics you wish to receive applications about. The format for talks (ie 30 minute with 10 minute Q&A). Which language(s) talks should be in. A specific date and time (with timezone) that applications will close. How to contact the organisers for any queries. Any accessibility details relevant at this time. When applicants will hear if they have been successful/not. Any extra details, including if speakers receive free tickets. The 4th annual WordCamp Europe will be held in Vienna, Austria, June 24-26, 2016, bringing together over 1000 passionate designers, developers, business owners, entrepreneurs, marketing experts, bloggers and educators from around the globe. Submissions will close on 31 January 2016 at midnight [with timezone]. All candidates will be informed as to whether or not their talk was accepted by 16 March. This post should answer frequently asked questions about the speaker application process. If you have frequently received questions, address these here! This post should remind speakers the deadline is approaching! Roughly a week from the speaker deadline is useful. This post can re-use much of the same content as in the call for speakers post. Make sure to highlight the deadline day, time and timezone and link to the call for speakers post where would-be speakers can apply! This post is announcing that your tickets are on sale! Hooray! Different ticket types available such as regular tickets, micro-sponsor tickets (ie “pay the full cost of your ticket”), early bird tickets etc. If possible, include details of a keynote speaker or any speakers you’ve been able to confirm. People will buy tickets if they’re excited for the talks! Celebration of any local holidays! Wish your readers and attendees a Happy [holiday name]! WordCamps are a celebration, so celebrate holidays! These are essentially an excuse to do a post, get social shares and push sales. The content can be very short and simple. An elevator pitch for the event, so sponsors know what they’re dealing with. How sponsors will benefit from their sponsorship. You may wish to reference who you’re expecting to attend (ie “bloggers, developers, agencies”), the number of expected attendees, networking benefits, previous WordCamps (and their success; with number of attendees and testimonials from previous sponsors if possible). The different sponsorship levels! These should include a breakdown of what sponsors will receive at each level and the cost. Form to enquire about sponsorship! Collect all the data required. Also consider publishing a draft budget to show where your sponsorship funds are going to be spent! This helps show why the sponsorship is so important and can lead to useful feedback. Note this doesn’t have to be finalised; a simplified draft which communicates the general idea will be sufficient. This post is announcing your “call for volunteers”. This should include what a volunteer is, why it is important and submit a volunteer application. A brief “elevator pitch” describing your event. What volunteers are needed for and specific tasks to be undertaken. How volunteers can benefit from the experience. When volunteers will need to arrive. How to apply and a form. How to contact the organisers to ask any questions. Example from WordCamp Europe 2017. This post should outline the accessibility features and accommodations of your conference. Accessibility features attendees can expect, possibly including: catering (and dietary requirements to be accommodated), multi-faith room, disability access, bathrooms, live transcriptions, quiet room, activities/workroom and crèche. Example from WordCamp London 2017. This post is announcing your speakers and their talk titles! Some WordCamps like to split this announcement into multiple posts. Doing this in separate posts may have the benefit of getting you additional social shares with each post, and hopefully additional website traffic and ticket sales! Individual bio, talk title and profile picture for each speaker. This post, or series of posts, should thank you sponsors! Depending on the number of sponsors you have and your obligations, this can be an individual post for each sponsor or a round-up per-tier. A very brief intro, including a link to become a sponsor and buy tickets if these are still available. Content provided by your sponsors. This post should let your attendees know the schedule for your event. The full schedule, with links to talks (obviously). It should be clear which day each talk is on, if talks are running in parallel, the timings for each talk, timings for registration, timings for lunch and the social. Explanation for any “oddities” such as the amount of turnover time between talks. Example from WordCamp Miami 2017. This post should include any useful information that would help the participants during the event. Attendees should be able to go here to find everything they need, all in one place! It could be in separate posts/ emails, or all in one if there is not a ton of information. Which colour t-shirts volunteers are wearing! (this ensures attendees can easily identify volunteers). Catering information (when, allergies, etc) + If sponsors /speakers can go late/early. Social events (networking, after party). Restaurants and/or good places to visit in the city. Any other details you have been frequently asked about or think attendees will find useful. What do you think Community Team? Thank you @AlexDenning and Alexandra Karapidaki for this at WCEU Contributor Day.